Personal data – What is it? Personal data is information and assessments that can be linked directly or indirectly to an individual, i.e. the data subject. Personal data includes name, gender, age, address, phone number (for personal or work use), credit card transactions, social security number etc. But we must also remember that, for example, IP addresses and encryption keys in many cases can be linked to individuals, and thus may be considered as personal data. Personal data also includes behavioral information such as where you shop, what you watch etc (often referred to as profiling). Sensitive personal data is information on race or ethnicity, political, philosophical and religious beliefs, health conditions, sexuality, membership in unions, criminal matters. In addition, it includes genetic and biometric information when General Data Protection Regulation (GDPR) comes into effect on May 25, 2018. Personal data can be observed, inferred and/or derived. Personal data is a piece of information or assessment of it that can be linked to you as an individual. It includes name, personal identity number, address, telephone number, E-mail, iris pattern, credit card information etc. Sensitive personal data includes information on race or ethnicity, political, philosophical and religious beliefs, health conditions, sexuality, membership in associations or criminal matters. If you publish amazing, quality content and work to build your online audience of quality followers, they’ll share it with their own audiences on Twitter, Facebook, LinkedIn, their own blogs and more. 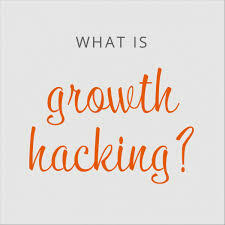 Growth hacking is a marketing technique developed by technology startups which uses creativity, analytical thinking, and social metrics to sell products and gain exposure. It can be seen as part of the online marketing ecosystem, as in many cases growth hackers are simply good at using techniques such as search engine optimization, website analytics, content marketing and A/B testing which are already mainstream. Growth hackers focus on low-cost and innovative alternatives to traditional marketing, e.g. utilizing social media and viral marketing instead of buying advertising through more traditional media such as radio, newspaper, and television. Growth hacking is particularly important for startups, as it allows for a “lean” launch that focuses on “growth first, budgets second”. Facebook, Twitter, LinkedIn, AirBnB and Dropbox are all companies that use growth hacking techniques.